Watch the Invitational Video here. This program emphasizes the development of practical skills and knowledge, therefore it is limited to small groups in order to better facilitate lectures and hands-on experiences. 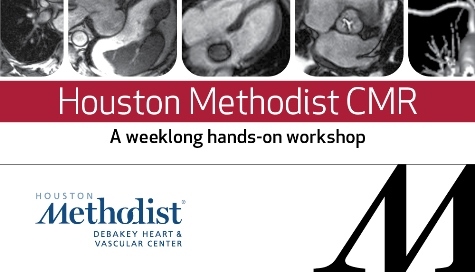 Designed for cardiologists, radiologists and technologists interested in gaining exposure to CMR, attendees can expect to review up to 50 clinical CMR cases during the workshop. Cardiovascular Magnetic Resonance Level 2 Course - Now Available! This is a new 12-week course which can lead to level 2 certification in cardiovascular magnetic resonance (CMR). The curriculum includes didactic lectures, clinical interpretation, and hands-on scanning in accordance with ACC/SCMR training guidelines that will provide learners with the knowledge, competence and skills to perform and interpret CMR in a clinical practice. Please click here for more information.